Humboldt County is a large and diverse county in northwestern California. It has a huge bay (Humboldt Bay), major rivers like the Klamath & Eel, important redwood groves (and much of Redwood National Park), mountain ranges, and dry grasslands and oak woods in the extreme southeast. A birding community has long been centered around Humboldt State University in Arcata. Willow lined river mouths and isolated clumps of conifers provide numerous vagrants traps along the coast. The ecologically managed Arcata wastewater treatment ponds attract many migrants, and there are huge concentrations of waterfowl and waders in winter on Humboldt Bay. County birding statistics and links are on Joe Morlan's site. Humboldt County has completed and published a Breeding Bird Atlas (Hunter, Fix, Schmidt & Power 2005) that has much information on habitats. 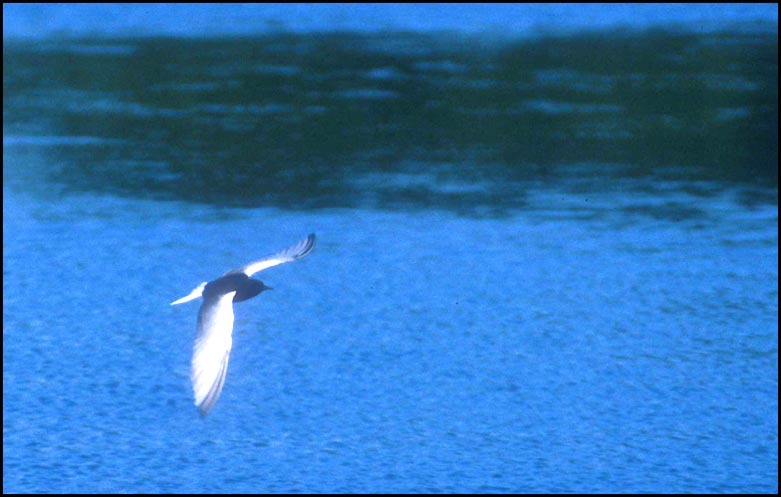 For Humboldt County the headline photo is a vagrant White-winged Tern in mid-summer 1996, a first State record (and a beautiful bird). I've chased several good vagrants in Humboldt with success (Snowy Owl, Black Vulture, Common Greenshank, Blue-winged Warbler) and have enjoyed birding the vagrant traps. 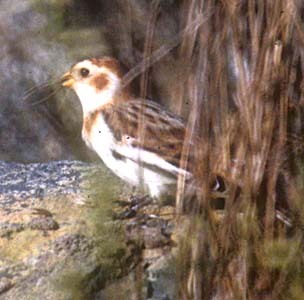 I've seen several Snow Buntings there (one of them, from 7 Dec 1986 at King Salmon, in below left). 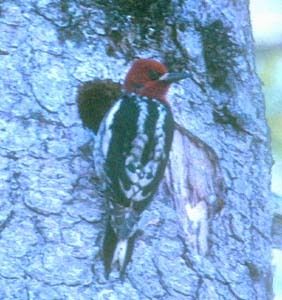 Rita & I also volunteered to several of the breeding bird atlas blocks in June 1995, and enjoyed finding a brood of Ruffed Grouse and a Red-breasted Sapsucker nest (below right). The latter was up on Grouse Mountain where a birder has comparatively easy access to montane habitats.